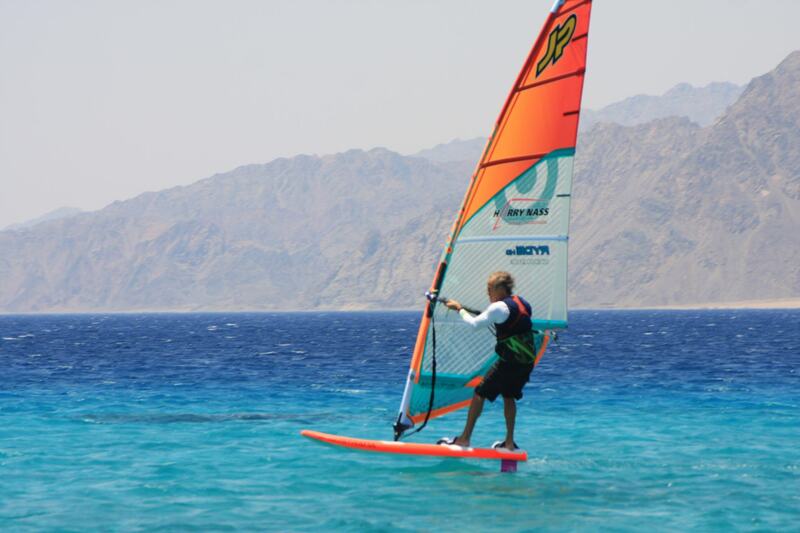 Experience the fascination of Foil-windsurfing! Foil windsurfing or foil kitesurfing are a big issue in the water sport scene. Those of you who have experienced the feeling of seemingly floating weightlessly above the surface of the water will immediately fall for this new discipline. From 10 knots upwards foil windsurfing is tremendous fun and you’re floating. 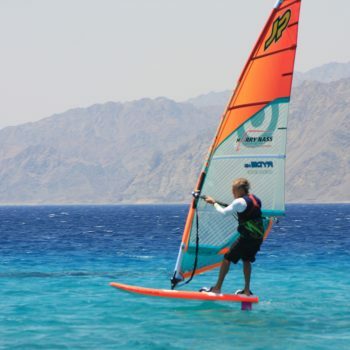 At Harry Nass you can learn foil windsurfing step-by-step in a relaxed atmosphere. The latest JP foil board 135 is ready for you and will meet even the highest demands. With the latest JP foil board and an accompanying boat you will quickly and safely learn how to float. Our spots offer a direct access into the deep water and our centres are located directly at the seafront. Harry Nass stations are the only stations in Egypt to offer a radio rescue service with waterproof walkie talkies for every surfer even outside of our courses. During the one-hour briefing our instructors maintain constant radio contact with you, helping you and making sure you learn to foil quickly. As the course develops, your instructor will accompany you by boat to ensure on-going contact and security. Our VDWS instructors teach according to the latest training methods. The Vdws is an international training association that stands for compliance with European safety and quality standards. Our lessons take place either 1:1 or 1:2. Afterwards the JP foil board 135 can be used on a daily or a weekly basis subject to availability and can be rented in addition to the regular rent for the board. World Class Windsurf & Kite Centre in Egypt - Dahab and Hurghada. Ever since 1999, Harry Nass has stood for quality and service at the highest level. 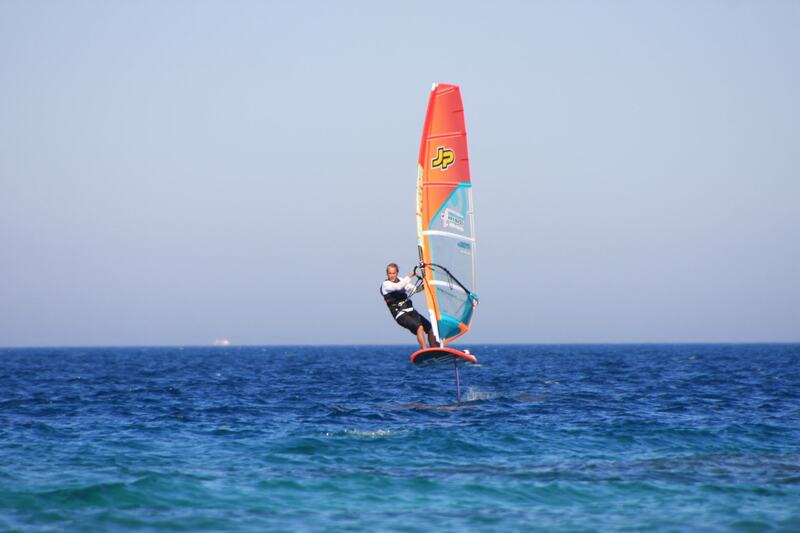 Awarded ‘Best Windsurfing and Kite Centre’ by the Egyptian Ministry of Tourism in 2011, we continue to offer our guests the latest equipment, professional training, personal service and support for unlimited fun on the water.